Is your old bathroom in need of a makeover? 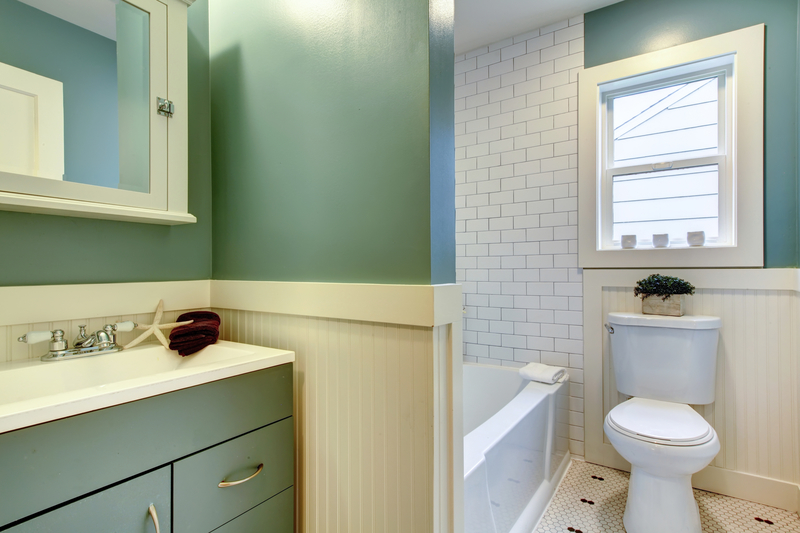 Lots of people have bathrooms that have seen better days and could use a total renovation. However, most people also don’t want to spend a fortune on remodeling their bathroom. Fortunately, there are plenty of things you can do to cut costs and bring the estimate for your new bathroom more in line with your budget. Learn more about cutting costs for your bathroom remodel in our blog! This might have the biggest impact on your bathroom costs. Keeping the original footprint, which means not moving the location of the sink, toilet, or shower, will save you a lot of money. This is because relocating the plumbing and any electrical wiring is very expensive, and will drive up the price of your remodel fast. Keeping things in the same place will allow you to spend more on aesthetic upgrades that will do more to change the look of your bathroom. Price comparisons are your friend. Shop around for everything you’ll need, and negotiate when possible to get the lowest price. For example, if you want a granite countertop for the vanity, check your local granite shop for remnants. These are pieces of granite that were left over from another job and are too small to use in many applications. Because they’re unlikely to sell quickly, the granite shop will probably be willing to negotiate the price. Do the same for the vanity. You can find vanities everywhere from big-box stores to smaller specialty stores, to unfinished furniture stores, to yard sales. Browse in person and online to expand your pool and find a great deal. It’s not uncommon for homeowners to get started with a project, only to change their minds about what they want halfway through. This could mean more materials need to be purchased, or some backtracking needs to be done in order to accommodate the new plan. The end result is always a higher final cost. The best thing to do is to make a plan and a budget at the beginning and stick to it. You might want to sleep on your plan for awhile before you begin. This ensures if you have any other ideas or changes you want to make, you can make them in the planning stage when it won’t cost you anything, instead of during the project, when it will. This entry was posted on Wednesday, March 18th, 2015	at 4:24 pm	. You can follow any responses to this entry through the RSS 2.0	feed. Both comments and pings are currently closed.